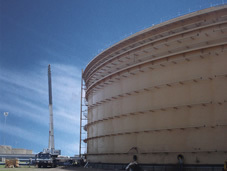 Our references include over 2500 oil and product storage tanks worldwide - which reinforce our credentials as a tank builder of global standards. We have designed and constructed double deck floating roof tanks for more than 70% of India's crude oil storage capacity. 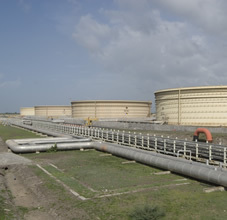 We have designed & built one of the world’s largest Crude Oil Storage Terminals consisting of 24 Nos. 92 m. dia. x 20 m. ht. Double Deck Floating Roof Storage Tanks. Our capability to manage specialized projects of this magnitude with our in-house resources underlines the unique skill base of our Company.